In order to access buildings quickly, minimize forced entry damage, and protect Fire and/or EMS personnel from injury, we have adopted the Knox-Box Rapid Entry System. Currently, more than 13,500 fire departments and the communities they protect enjoy the benefits of this proven system. DO YOU HAVE buildings or property in the City of Willard or surrounding townships we serve that are secured by locked doors or a gate? You can PREVENT UNNECESSARY DAMAGE to your building or gate in the event of an emergency by participating in this program. The Knox lock box system can give the Fire Department emergency access while giving you peace of mind that your property is secure. The Willard Fire & Rescue Department has invested in this system. Should you? The Knox Home Box grants Willard Fire & Rescue personnel access to your home and loves ones in an emergency without property damage. The Knox Home Box opens with a special key available only to Willard Fire & Rescue personnel. 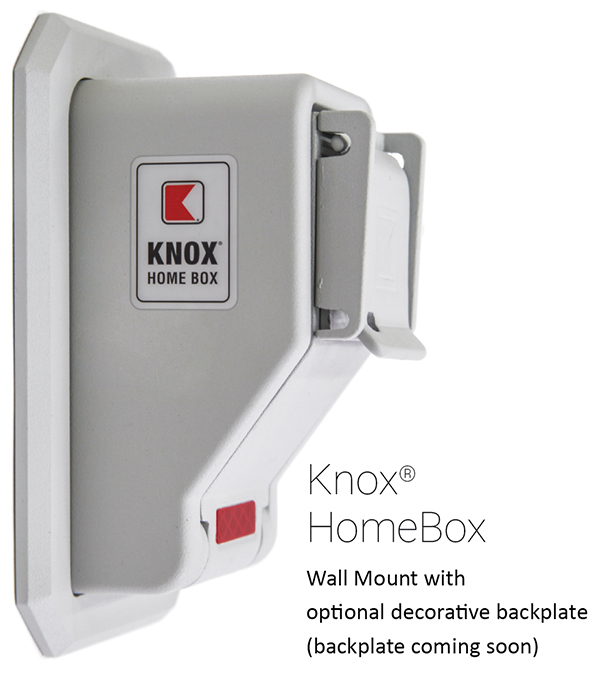 The Knox Home Box then allows entry into the protected home. Your loved ones will receive help when they are injured, immobilized or unable to open the door. Your property will not sustain damage or clean-up costs from a forced entry and will be re-secured after the emergency. This decreases the likelihood of property damage caused by forcing entry into your home. These Knox Boxes are similar to the boxes used to protect businesses. In order to access business buildings quickly, minimize forced entry damage, and protect EMS/Firefighters from injury, we have adopted and encourage the use of the Knox-Box Rapid Entry System. Currently, more than 13,500 fire departments and the communities they protect enjoy the benefits of this proven system. Maintain building security after a fire alarm investigation by allowing first responders to simply re-lock the undamaged door. Over the last 40 years, Knox-Box has been the chosen solution in more than 13,500 communities nationwide – communities just like yours! Knox-Boxes are constructed of ¼" solid steel with a ½" steel door and reinforced locking mechanism. They are UL listed specifically for the Willard Fire & Rescue Department. This high security key is strictly controlled and is manufactured only by the Medeco factory under direction from an authorized fire official's signature. A property owner who wishes to join the system should make arrangements with the fire department to acquire a lock box or padlock. The Knox Box shown above is a typical building type box. Knox Boxes are specified by Willard Fire & Rescue but are purchased directly from the Knox Company. Once installed near the entrance to your property, the department locks your building entrance key inside the Knox Box so that it is available onsite for future emergencies. Willard Fire & Rescue uses a KeySecure system that is mounted inside of fire apparatus and ambulances. Willard Fire & Rescue personnel are each assigned a unique number to have access in removing the master key to open lock boxes at a residence or business. If you have any further questions, feel free to call us at (419) 935-8297. When the new lockbox arrives the property owner installs it on their building or residence after consultation with fire personnel. The property owner then prepares a master set of keys to the building(s) to be placed in the box. When the owner is ready, the fire personnel and property owner secure the building keys inside the lockbox. The fire department can then access the lock box and the master keys to the building in the event of an emergency.